First things first. I am not a big fan of the color pink. But I do have a teenage daughter who is, so pink is a fairly common color in my house. I can take it, but typically, if given the option, I will leave it. That is, unless I’m at The Langham Huntington, Pasadena. 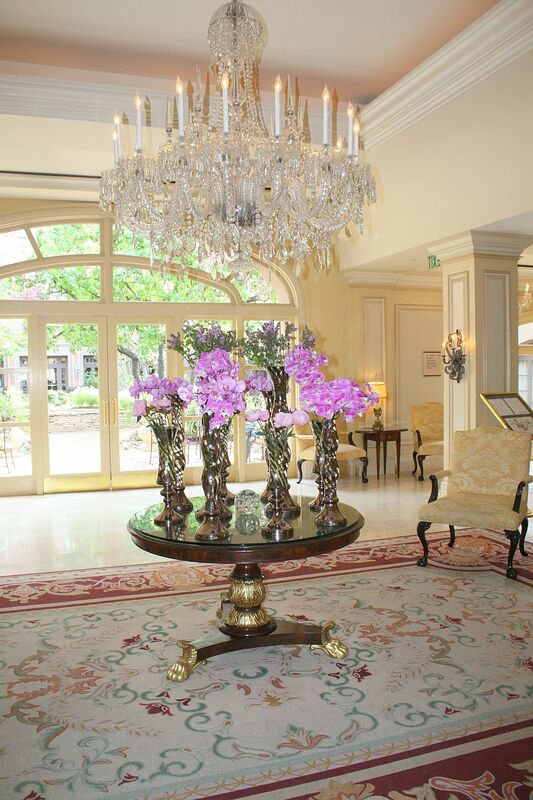 When you enter the hotel to check in, the lobby makes a glamourous first impression. A colorful flower arrangement sitting on an antique table underneath a crystal chandelier, will most likely be what first catches your eye. Filled with natural light, the room has a certain shimmer. Elegant would be a good description, but The Langham Huntington, Pasadena doesn’t take itself too seriously. As the front desk tucks your room keys into the hotel’s classic pink stationary, be sure to peek to the left, past the grandfather clock. 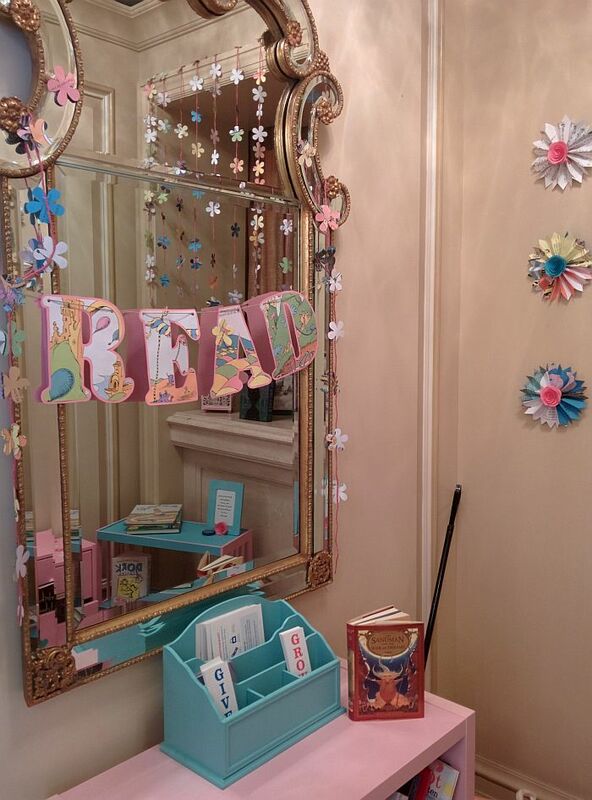 It may be small, but traveling families are tickled pink by the kids’ play and reading nook. (It’s also known to evoke smiles on the faces of guests without little ones.) The Easter egg-esque area is nothing like the lobby. It’s just the first of many signature pink surprises. The property’s personality has no doubt evolved in part due to its history. Founded in 1907, it closed in six months due to lack of funds. Railroad magnate and art collector Henry Huntington left his mark when he reopened the property in 1914 as the Huntington Hotel. It has changed owners a few times in the century since, but as I walked through the art-adorned halls to my room, I couldn’t help but think Huntington would be happy to hang his hat here today. The furniture and decorations in the guest rooms strive to create a classic feel. My Grand Double had dark wood furniture and heavy curtains striped with blue and gold, but enough natural light beamed through the windows to prevent the room from feeling dark. And then there was the pink. 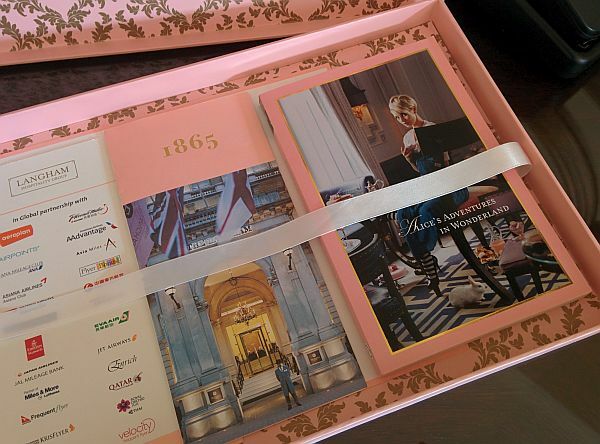 The hotel’s signature pink perks were scattered throughout the guest room and popped especially nicely when placed on the dark wood furniture. 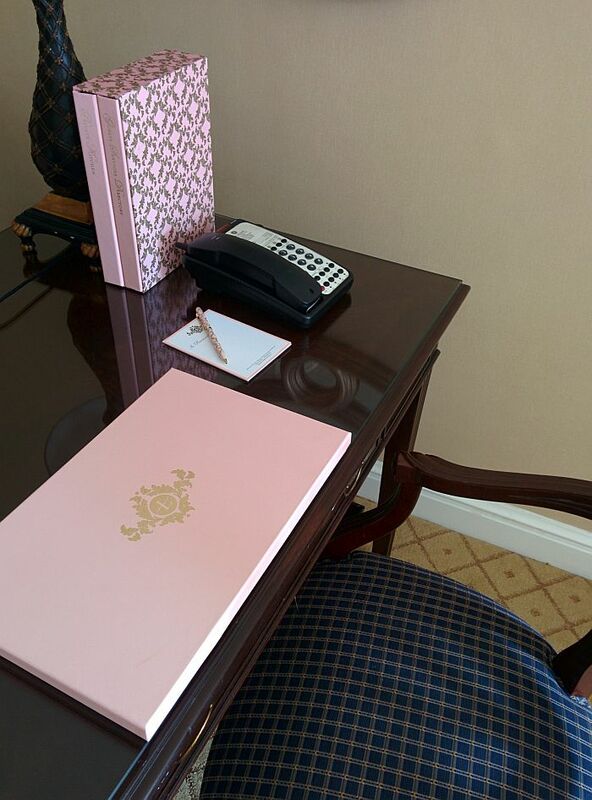 From the simple notepad and pen, to the hotel information books (notice the plural), beautifully bound in two volumes and placed in a pink and gold accented box. My teenage daughter sank into a bed as I opened a suitcase to hang up a couple things. Waiting in the closet were two pink satin padded clothes hangers, complete with a perfect puffy bow. As the mother of two teenage daughters, my next necessary preemptive move was to claim some valuable vanity space, so I headed to the bathroom. Toiletries at luxury hotels tend to have a little sparkle. 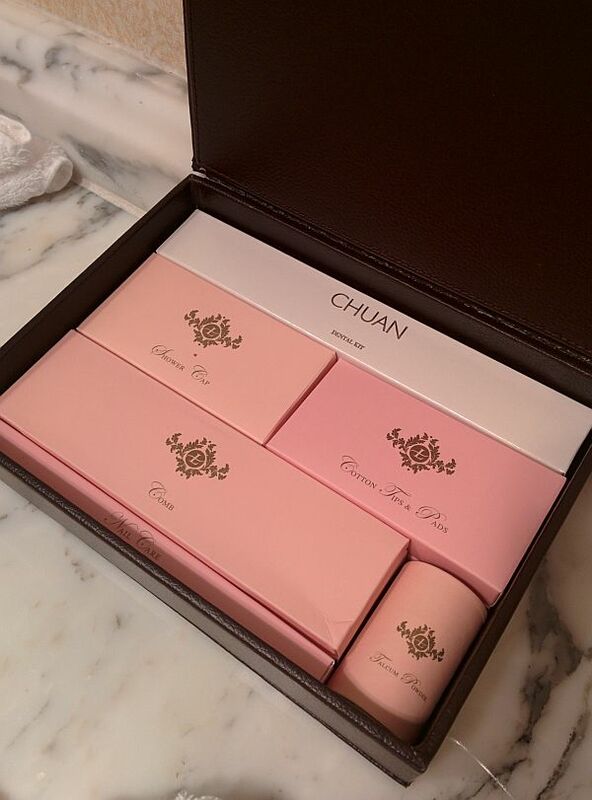 At The Langham Huntington, Pasadena, they’re presented in a brown leather treasure chest, but when you crack it open, instead of gold, everything is petite and pink. Even deep-rooted tradition comes with a colorful hue. The Langham, London, was the first luxury hotel in Europe to serve afternoon tea, so every Langham Hotel around the world serves tea every day. “The Langham Afternoon Tea with Wedgwood” is unique, serving teas in custom-made “Langham Rose” Wedgwood china. Want to guess what color the rose is? 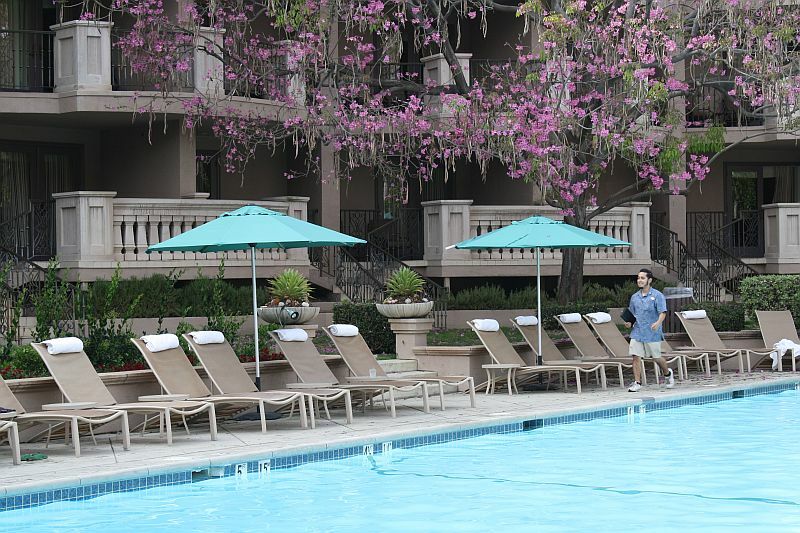 Losing track of time while sipping tea is easy, especially on Sunday, when chocolate is involved, but let’s not forget this is Southern California, and no resort would be complete without a place to take a dip. The saline swimming pool provides the idyllic SoCal resort experience. Heated year-round it’s a popular with guests of all ages. There’s also a hot tub and plenty of chairs for sun seekers. Need a little poolside reading? A copy of Alice’s Adventures in Wonderland resides in all 380 of The Langham Huntington’s guest rooms, suites and cottages. The classic book was published in 1865, the same year the first Langham opened its doors in London. The special edition comes complete with a pink cover. Discovering the book, tucked away in a beautiful pink box in the top desk drawer, is like opening a surprise present. There’s even a satin ribbon. 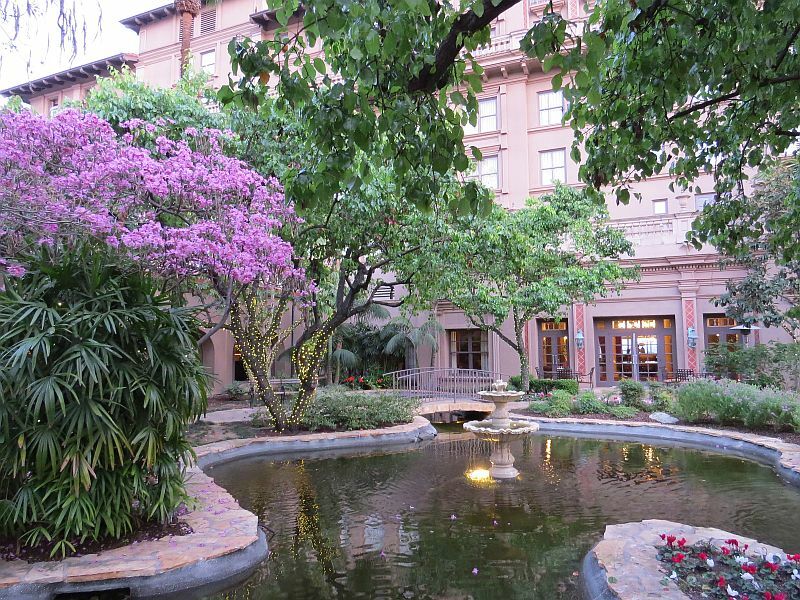 Dana’s stay was hosted by The Langham Huntington, but as always her thoughts and opinions are her own.